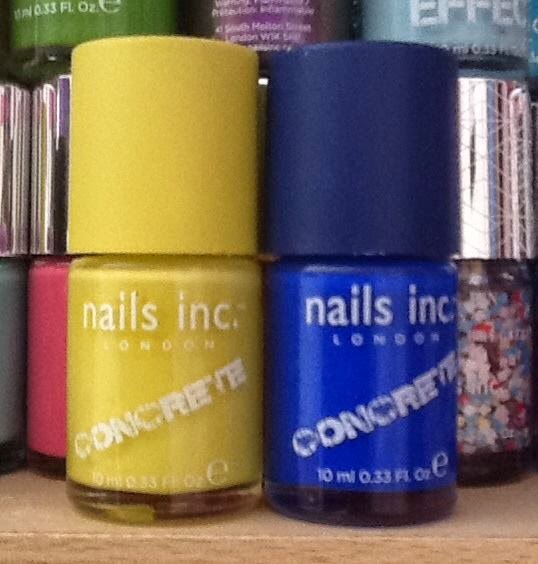 Nail this look with ground breaking Concrete nail polish range. The innovative formulation creates a unique concrete style texture that will give you a bold, rugged finish. Each packaged in a limited edition bottle with unique textured cap. Love the rugged texture polish and I think the blue and yellow work well together. Its one of my favorite effect polishes from Nails Inc.